Parmalee consists of brothers, Matt and Scott Thomas as well as their cousin, Barry Knox and childhood best friend Josh McSwain. 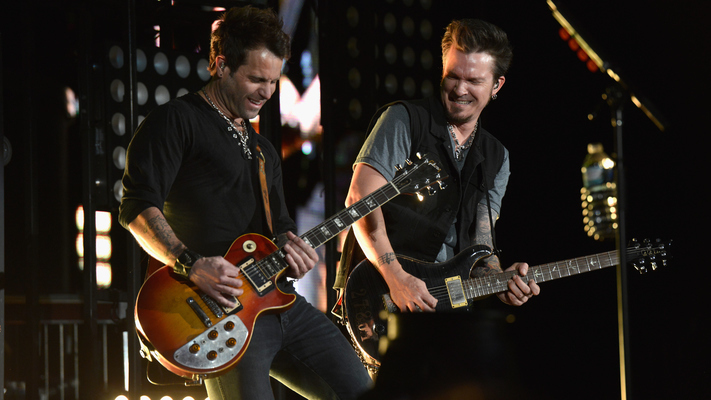 The four members were all born and raised near Parmalee, North Carolina from which the band name is named after. Brothers, Matt and Scott played in a family band early on with their father before forming Parmalee with Barry and Josh. Not long after forming Parmalee, the band drew attention of RCA producers which led to a publishing deal with Windswept Publishing in Los Angeles, California. The band toured for about two year promoting their debut album, Inside. In 2006, they collaborated with Nikki Sixx of Mötley Crüe on several tracks, both writing and producing.